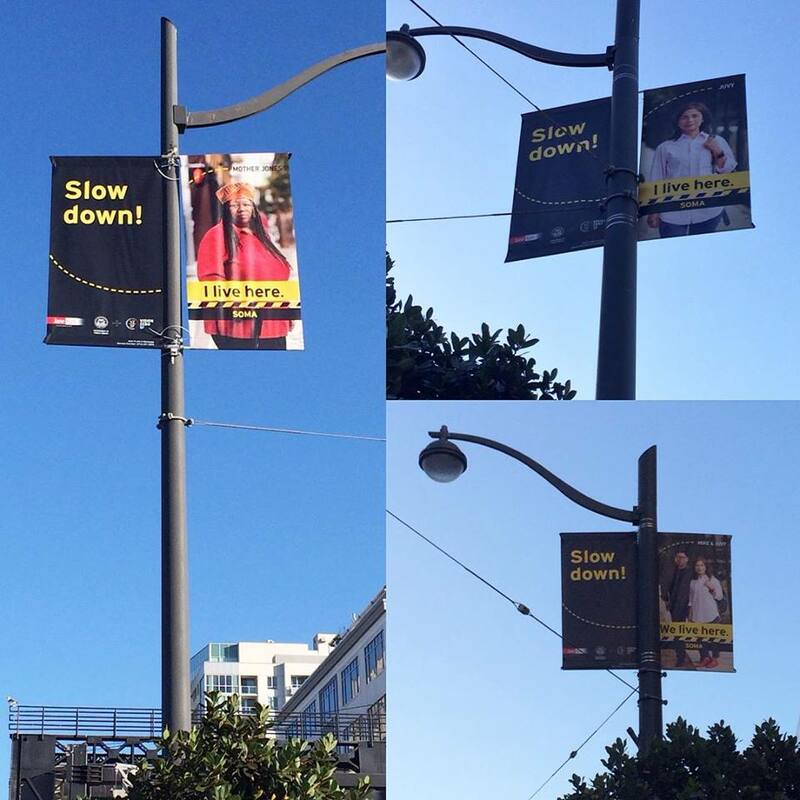 San Francisco officials today unveiled new banners in the South of Market and Tenderloin neighborhoods featuring images of residents and business owners urging drivers to slow down. 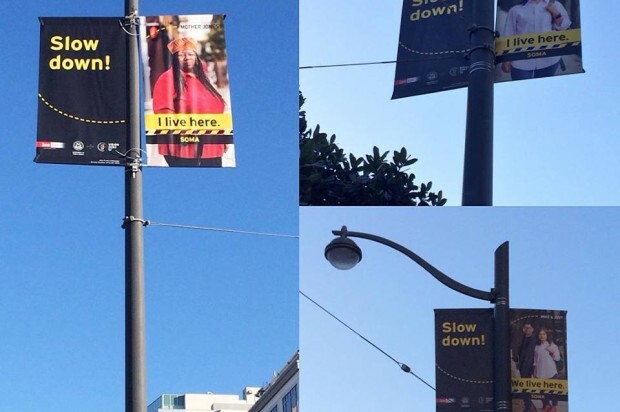 Supervisor Jane Kim said the pedestrian safety banners, created in conjunction with the city’s Department of Public Health, are intended to support Vision Zero, a city policy calling for the reduction of pedestrian deaths to zero by 2024. “These banners portray real residents and small business owners uniting across neighborhood lines for a common goal – zero pedestrian deaths by 2024,” Kim said. Kim said 60 percent of pedestrian bicyclist deaths occur on 6 percent of the city’s streets, with most of the high injury corridors being located within her district’s South of Market and Tenderloin neighborhoods. Speed is a major factor in pedestrian deaths, Ana Validzic, the Department of Public Health’s pedestrian safety project coordinator, said in a statement today. “DPH’s support for healthy communities gives us a vested interest in making sure our city’s residents are not killed by speeding vehicles,” Validzic said of the banner project. One of the banners unveiled today is located near Bessie Carmichael School, in an effort to help make conditions safer for children and families walking or bicycling to school.